Luna Petunia toys are one of the first new lines to come exclusively from a Netflix only show. Luna Petunia is controlled by Saban Brands with Funrise appointed as master toy licensee. 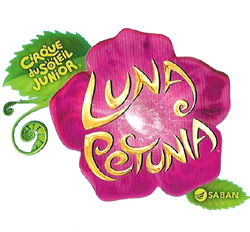 Produced by Cirque du Soleil Media, the animated kids Luna Petunia show is a Netflix original series only available to stream on their platform. The show first aired in December 2016 and concerns the fantastical adventures of a young girl, Luna Petunia, as she strives to make the apparently impossible possible in the world of Amazia, helped by items from her magic toy chest. The show incorporates the themes of friendship, learning and fun. Funrise’s toy line, launched in 2017, features a collection of Luna Petunia action figures and playsets. Also available are Luna Petunia plush teddies, as well as large feature dolls and role play, and dress up items. Funrise are launching the new toy range with a multi-channel marketing campaign including unboxing influencers, youtube videos, social media and kids’ magazines. Through the amazing power of Netflix streaming, Luna Petunia toys should sprinkle a little magic for the Funrise Toy Corporation. This entry was posted in Luna Petunia and tagged Luna Petunia Toys. Bookmark the permalink.